Anne Phyfe Palmer founded 8 Limbs Yoga Centers in 1996 to provide an inclusive and welcoming home for yoga practitioners in Seattle. 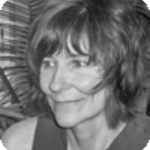 Raised in New Orleans, Anne Phyfe came to Seattle in 1993 via Vermont, where she completed her BA in English and Women’s Studies and developed an interest in Environmental Studies. 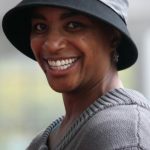 She has guided 8 Limbs through 22+ years of growth and stability, while raising her two daughters Lily and Coco with husband Bez, a graphic designer and illustrator. Anne Phyfe has three roles at 8 Limbs: Owner, Teacher Training Director, and Yoga Instructor. 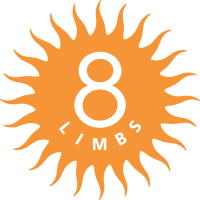 As Owner, Anne Phyfe works with the 8 Limbs Executive Director and Managing Director, and the 8 Limbs Leadership Team, to steward 8 Limbs according to our mission and social justice mission. As Teacher Training Director, she manages the 8 Limbs 200-hour Teacher Training (Summer Intensive and Modular), 500-hour Teacher Training, Prenatal Teacher Training, and Mentorship Program and directs a team of more than fifteen local and nationally reknowned instructors in these programs. Anne Phyfe also teaches weekly yoga classes at 8 Limbs. Her current schedule can be found here. Anne Phyfe’s main yoga teachers are Shari Friedrichsen and Rod Stryker, who are both students of Pandit Rajmani Tigunait, spiritual head of The Himalayan Institute. If not at 8 Limbs, you’ll find Anne Phyfe tending to her home and family, out in nature, or engaged in social justice work. She is a committed bike commuter and enjoys walks near her home, especially in the Arboretum. Anne Phyfe also loves to read and write, and is the author of This Life of Mine – a Legacy Journal, published by Sasquatch Books, now on sale at 8 Limbs and in gift and bookshops in your neighborhood! Blending her background in business, mindfulness and community development, Ashley helps us to bring our mission to life through both what we offer and the way we do business. In and outside of studio doors she teaches mindfulness meditation. Ashley also offers mindfulness-based coaching to other small businesses in the region, helping them align their core values and goals and putting them into action. When she’s not working she can often be found hiking in the woods. Cassidy passionately believes that yoga is for everybody and every body and is excited to support the 8 Limbs mission by warmly welcoming all to begin or continue their yoga practice by meeting them where they are in the moment, helping to connect them with classes that best meet their needs or encouraging them to find deeper exploration through workshops or class series. She loves that the journey through yoga is ever changing and offers so many paths to meet your needs wherever you are in life. A lifelong fascination of the human mind and body led to years of self-study in health and wellness before leading her to yoga. She most recently completed her 200 hour RYT training in Viniyoga and looks forward to the limitless learning opportunities yoga provides. Cassidy also holds a BS in Social sciences and Psychology as well as additional training in wellness coaching and holistic nutrition. Cassidy feels most grounded surrounded by the quiet of mountain forests. She also stays grounded by nurturing connection to family and friends, staying active, dancing to live music, reading and kicking back with a big cup of tea and some cookies. Claudette works to create a space for the community that is warm and welcoming, so that students can explore the sheer joy of movement, while cultivating greater connection in their lives. She has been a student of yoga herself for more than 17 years and a teacher for nearly 7. Before yoga, she shared her gifts as a classically-trained singer and performer, athlete, nonprofit arts administrator, event producer, and small business owner, including co-founding a national conference on community service and citizenship. Claudette is also a mother, a singer, an avid sudoku puzzle solver, a Scandal and Orphan Black fanatic, as well as a lover of good food; especially the warm flavors of India, Asia, and the Caribbean. And she cooks them too! 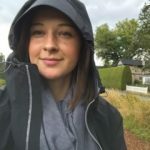 She prioritizes making time for family and friends, walking, and a daily chanting and meditation practice to help her stay connected to what’s most important. Emily is thrilled to support and celebrate the incredible community at 8 Limbs Phinney Ridge. She enjoys welcoming and connecting students with the classes and teachers that complement their individual needs. Emily is a graduate of the 8 Limbs 200-Hour Teacher Training program. She earned a BFA in Fine Art from Cornish College of the Arts. Outside the yoga studio, she can be found covered in clay, throwing pottery in her studio or teaching art to kiddos (including after-school art classes through Art with Heart, a local arts non-profit). Emily’s self-care and grounding routine includes; practicing yoga, spending time with friends and family, laughing, cooking, baking, hiking, making art, traveling to new places and remembering to breathe… deeply. Janey views yoga studios as powerful tools that can be used in today’s world to foster growth and healing. She has a feeling of gratitude when thinking of the opportunity to serve the community through her role as yoga advisor. Janey does her best to let her yoga practice ebb and flow by listening to what her body needs, and believes that others benefit from doing the same. No matter what stage of life, there is an approach to Yoga that’s perfect for your individual. When outside of this role, Janey enjoys taking it easy and practicing presence in everyday life. Observing different environments through Feng Shui eyes, diving in to rich books, or enjoying home cooked meals with family are some of her favorites. In her 20 years of practicing yoga, Joanna has seen her practice change from power flows to gentle dream states, from learning to teaching, from tough times to good, and back again and again. It is through all the ebbs and flows of modern life that the yoga path wanders. She feels lucky to be working for an organization that holds space for students, teachers, and staff of all ages, sizes, beliefs, and experiences, every one of whom has a story to tell. She sees that wisdom and connection come not just from the teacher, but from the student as well, and loves watching community build around yoga classes. Joanna is a mother, artist/writer, and business owner. She has a regular meditation practice, without which she would be freaking out right now! 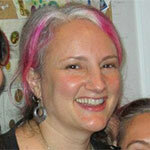 She enjoys creating yoga games, tools, and stories for kids, and finds that adults are just as fascinated by them. They sneak deeper teachings into simple moments, bringing joy to the practice. 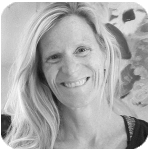 Joanna is registered through Yoga Alliance as a Yoga Teacher, Children’s Yoga Teacher and Prenatal Yoga Teacher. As Yoga Advisor, Kymbr strives to make each student feel welcome and familiar with the Wedgwood studio and classes. She hopes to empower students to develop a path suited for their individual needs and goals while feeling supported by the inclusive, diverse community at 8 Limbs. As a mom to four young boys, Kymbr understands the importance of balance and self-care. Yoga, reading and writing, meditation, and time outdoors are ways she fills her cup so she can be of service to others. 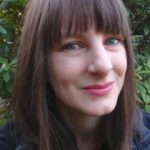 With a BA in English Literature and minor in Women’s Studies, Kymbr has a passion for the power of writing and reading in personal development as well as social justice. She also believes in the importance of community and connecting with people in person. She’s delighted to contribute to growing community at 8 Limbs. As Managing Director, Lauren works hard to create a community-centered practice space as diverse and eclectic as the neighborhoods 8 Limbs inhabits. Lauren is deeply dedicated to celebrating and honoring the uniqueness of every individual who practices here while relishing in the opportunity to embody conscious, evolved, green, and women-powered business practices. Ushering the legacy of 8 Limbs’ 20+ year tenure as Seattle’s premiere yoga center into an adaptable, modern, compassionate business and an epicenter for genuine connection through yoga both on and off the mat for the next 20 years is a humbling honor. 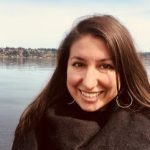 Lauren has a BA in the Comparative History of Ideas, emphasis on Critical Theory/Culture Studies, with double minors from the School of Aquatic Fisheries Sciences, emphasis on Aquatic Ecology and Conservation Management, University of Washington. A 2011 graduate of the 8 Limbs 200-Hour Yoga Teacher Training, Lauren currently matriculates as 500hr YTT student. Traveling, dancing with friends, practicing asana anywhere and EVERYWHERE, trampolines, climbing trees and being in Nature, preferably with wine, a good book or journal all help Lauren to feel vital and steeped in Gratitude for this gift of Life – and a daily meditation practice with time for retreat, solitude and Silence. 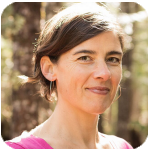 Lily aims to provide a grounding and helpful presence in the 8 Limbs Phinney Ridge studio, assisting students in choosing the best experience for their needs and goals. 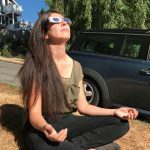 She is a student of yoga, herbalism, and Tarot, and through these mediums she aims to deepen her connection between mind, body, and spirit. Lily has completed two 200-hour yoga teacher trainings, at The Center for Yoga in Seattle in 2016 and at Bohemian Studios in 2018. She has moved through her own personal dynamic yoga practice since 2010. Lily attended Roosevelt High School here in Seattle. 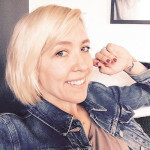 She went to college at Wesleyan University in Middletown, Connecticut, and is currently remotely pursuing her master’s in Women’s Spirituality at California Institute of Integral Studies. Shuffling and reading Tarot cards connects Lily to herself and others. She also is grounded by reading novels, taking walks around Greenlake, watching her heroine Buffy the Vampire Slayer, and hanging out with her pet snake, Calliope. 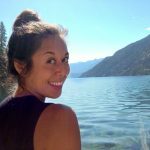 As a Yoga Advisor, Marissa gets to put her love of helping others and contributing to a positive environment into action. She passes on the excellent customer service, guidance and communication that was shown to her when she was a new member of the 8 Limbs Yoga Centers community. A regular vinyasa and meditation practice has taught Marissa a great deal about balance and persistence and brought strength and stability to her life. With a BA in Museum Studies, an assortment of customer service and office jobs Marissa is thrilled to bring her skill set and love of learning to the 8 Limbs community. Outside of the studio, she can be found drawing, painting, pursuing a visual arts career or maybe just enjoying the beautiful city we live in. making art, enjoying loved ones, and acknowledging the energy within every living being. 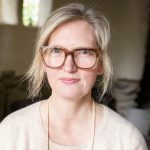 Martha has a passion for merchandising and strives to create an exciting and relevant boutique atmosphere to support the needs of 8 Limbs students and staff in their practice and beyond. She looks to offer a fresh and aspiring mix of quality yoga props, apparel, and gifts that are local, sustainable, and not sold everywhere. Martha earned her BA in Business and has 20 years of experience as a buyer and product manager. In 2014, she completed her 200-Hour Yoga Teacher Training and also earned her certification to teach yoga with weights. She is continuing her yoga journey through her practice at 8 Limbs and attending their yoga workshops and retreats. She plans to begin her 500-Hour Teacher Training in the near future. When she is not on the mat, Martha enjoys being active outdoors with her husband, son and dog or out with her girlfriends. She loves many active sports and these days that includes hiking, cycling, skate skiing, tennis, and trend shopping! Moriah brings her sense of humor, her love of nurturing people, and a fundamental belief that “you can do it!” to the community at 8limbs. She delights in helping others access yoga and believes in empowering people to find their own journey within their practice. Born and raised in Appalachia, Moriah carries a passion for family, work, food, storytelling, nature and music. 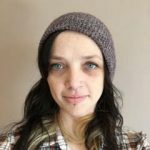 Learning how to join breath and body by digging garden beds and fixing houses with her family, Moriah has a deep regard for the unique ways an individual can relate to yoga. She has a BA in Ceramic Art, with a minor in Music History. She is a studio ceramicist, farmer, commercial fisherwoman, esthetician, and tradesperson. With her 200 RYT, Moriah has taught yoga on boats, beaches, and studios. She is passionate about the many ways one can practice yoga and has reverence for the struggle of how life can challenge such practice. 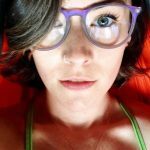 As a Yoga Advisor she hopes to help every person feel comfortable with their relationship to yoga in the present and support their goals of the future. When outside of the studio, Moriah has endless passion for her family, birds, her cat, cooking, daydreams, and the surprising in-between moments of just being. Yoga seeps into all of this and keeps her (ultimately) smiling at life. 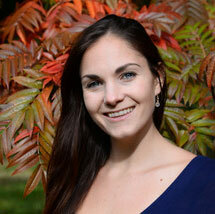 As Studio Manager, Rainbow is dedicated to guiding and supporting students with an open and compassionate heart. She believes in the power of mindful movement and the act of self care, and seeks that out in her own yoga practice. Outside of the studio, Rainbow works simultaneously as a dancer, choreographer, and personal trainer. She received her BFA in Dance from Cornish College of The Arts and is the Artistic Director and Choreographer of HYPERNOVA Contemporary Dance Company, and Co-Artistic Director of The Offshore Project. In addition to her current projects, Rainbow is well known for her past innovative creations as the Choreographer and Dance Director of the Can Can Castaways. She also loves spending her time off with her amazing husband Kristofer and their cat Sofia. Samantha has a love of clear design and clean livin’. 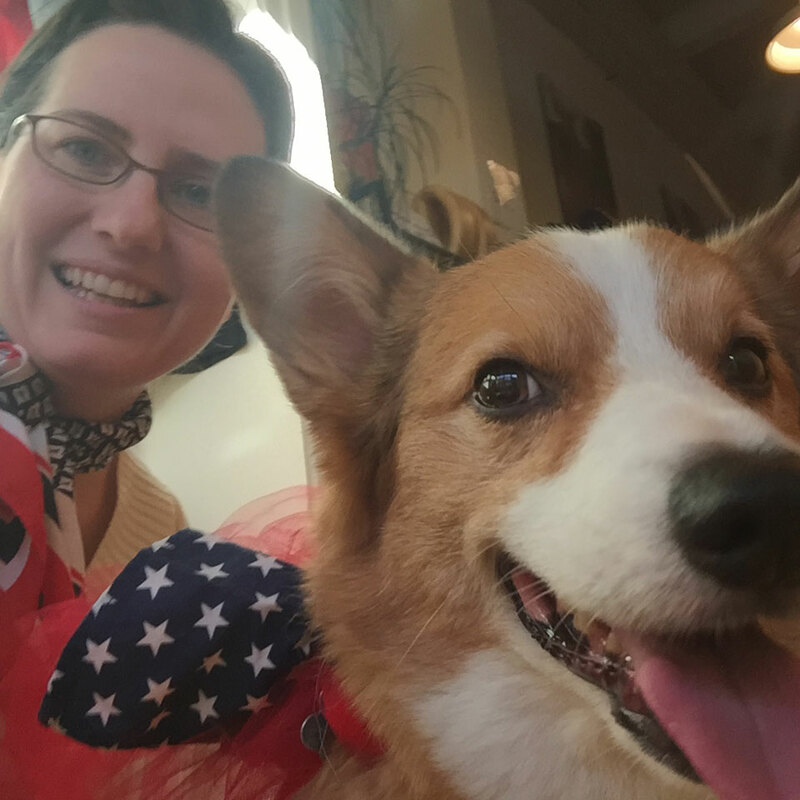 She brings to 8 Limbs a decade of design and marketing experience, a tendency to put on sparkly elf attire, and oftentimes an adorable Corgi dog. She has a passion for tea and likes to host an annual tea party in front of 8 Limbs Capitol Hill. She has practiced yoga since 2001. 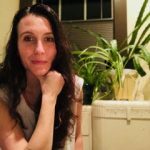 Samantha is grateful to endorse the 8 Limbs mission to create an openhearted and healing environment where the individuality of students can thrive, because there are as many unique paths for practicing yoga as there are for practicing life. She mosaics her time with many passions from writing, travel, and entrepreneurship, to a dedicated yoga practice, teaching yoga, and various forms of philanthropy. Samantha did her 200 Hour Yoga Teacher training with 8 Limbs and has completed the Embody Love Movement Facilitator Training and is just beginning her pursuit to teach yoga and lead Embody Love Movement workshops to empower girls and women to celebrate their inner beauty, commit to kindness, and contribute to meaningful change in the world. She keeps herself grounded by practicing asana, mindfulness, gratitude, and ahimsa for the mind and body. She feels most connected when she exercises, practices whole nutrition, and spends time in nature. She also prioritizes her friends and family because these connections are what makes life worth living. Her favorite pastime is ‘chewing the fat’ with another intellectual– maybe in a foreign café over Italian pastries or Thai sticky rice. Shayda is thrilled to be a part of the inclusive community at 8 Limbs. She knows that the yogic path can be long and winding and is excited to meet each student exactly where they are. Her love of movement began as a child in dance classes. She spent ten years as a teacher, choreographer and Assistant Director of a dance studio, South Side Dance Force. She completed the 200hr Samarya Yoga Teacher Training in 2011 and since then has continued a personal practice that includes daily gratitude, journaling, and meditation. Shayda feels most calm and connected when dancing, exploring new cities, making art with friends, cooking Persian food or curled up with a good book. With eleven years of involvement with the studio, 8 Limbs has known Theresa as a yoga student, a successful teacher, and currently as a Manager for the 8 Limbs Wedgwood Studio. She enjoys helping students find a perfect fit for their practice, matching individual needs, health status and personal goals to the rich and varied teaching styles at 8 Limbs. She emphasizes the freedom to explore classes at all four of the studio locations and encourages a non-competitive approach to yoga. She considers the Wedgwood studio a unique asset for our community, one that involves people of all ages and backgrounds. Theresa has an active home practice, and feels that breath and movement are essential ingredients in maintaining a healthy life style. With a varied entrepreneurial background as an art gallery owner and running an organic farm, she embraces living a balanced life through sustainable practices including yoga, meditation, organic foods, music, art and continual learning.